Marvel at the charming northern architecture of the carefully preserved buildings and watch street shows! GuBeishuiZhen is nice and the Simatai Great wall is amazing as it is well-known for its steepest path. it's different experience from Badaling Great Wall as Simatai is a bit wild and maybe more original. The tour guide is taking good care of us. Definitely a recommended tour. Two famous locations for cultural experiences around Beijing are the Simatai area of the Great Wall and Gubei Water Town. You'll be visiting both these locations, exploring their landscapes, and learning about their past and significance to Chinese culture. Starting in Gubei Water Town, you'll see the famous Mandarin Duck Lake Reservoir that holds the water flowing through the town itself. Admire the northern architectural style of its carefully preserved old buildings, standing in elegance and full of street shows, before proceeding to the next destination close by. Against Gubei Water Town's lake is the Simatai area of the iconic Great Wall of China. 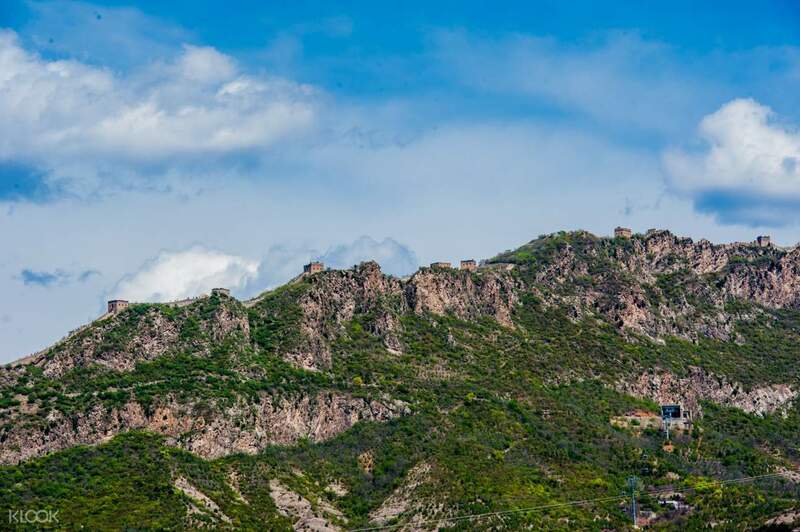 This UNESCO World Heritage site has been partially restored, allowing you to climb up upon the battlements to take in the marvelous views of the jagged mountains and their greenery. The view changes throughout the seasons, casting new colors with every visit. Your tour ends back in downtown Beijing at the drop off. Good but the time visit the wall at night is too short. They opened 5:30pm and the bus will leave at 7:00. We only have 45 to climb the wall from the cable car station and take photos. then we need to rush back to the meeting place before 7:00. It takes almost half an hour from the great wall to the mtng place. Good but the time visit the wall at night is too short. They opened 5:30pm and the bus will leave at 7:00. We only have 45 to climb the wall from the cable car station and take photos. then we need to rush back to the meeting place before 7:00. It takes almost half an hour from the great wall to the mtng place. worth to go. when in january. beautiful place where you can see old town and the river have been frozen to ice. light is up when turning to evening with beautiful reflect on ice. tour guide explain everything thing that you need to know. worth to go. when in january. beautiful place where you can see old town and the river have been frozen to ice. light is up when turning to evening with beautiful reflect on ice. tour guide explain everything thing that you need to know. The experience was truly unforgettable. The water town and the Great Wall was really charming and beautiful even during winter. I had a difficult time finding the tour bus at the meet-up location but the local operator, Michelle, really went over and beyond to help me and made sure I won’t be left behind. The tour guide didn’t speak english at all, but he was also very helpful and accomodating even though we were just using Google translate the whole time. Thank you so much! Overall, it was an amazing experience. I recommend it to everyone. The experience was truly unforgettable. The water town and the Great Wall was really charming and beautiful even during winter. I had a difficult time finding the tour bus at the meet-up location but the local operator, Michelle, really went over and beyond to help me and made sure I won’t be left behind. The tour guide didn’t speak english at all, but he was also very helpful and accomodating even though we were just using Google translate the whole time. Thank you so much! Overall, it was an amazing experience. I recommend it to everyone. It was a great experience! The tour guide cannot speak English but he looked for someone who can translate for us. The Great Wall ticket is valid until 4:30 pm only. There’s a special admission ticket for the night tour. It was a great experience! The tour guide cannot speak English but he looked for someone who can translate for us. The Great Wall ticket is valid until 4:30 pm only. There’s a special admission ticket for the night tour. Great activity for the day. The Gubei Watertown experience was amazing, love the atmosphere and beautiful sights. The Simatai Great Wall was also less crowded than the Badaling Great Wall (which is more popular with tourists), so was able to get better photos. The climb is steeper though and the pavements were not so well laid, so it's not for those with a faint heart. Tour Guide "Xiao Guo" is okay, quite knowledgeable, she gave us most of the information on the journey there, and as it's free-and-easy once we reach Gubei Watertown (the Simatai Great Wall is in the same area), she didn't have to do too much explanation. Her job mainly was coordinating the different itineraries of all on the trip, some have boat rides, some don't some have the day trip to Simatai, some have the night. Some (including myself) had last minute requests, so I would say she has done a great job in ensuring everyone got to do the activities they wanted. My recommendation (the boat ride is a novelty and allows you to see Gubei Watertown from a different perspective, but it's not really necessary (unless boat rides are your thing). Gubei has many sights and little alleys which if you have 3 hours to explore, you can see it from many different angles. Some of the shops are too touristy though. The hike up to the 7th Light-Tower of Simatai (Day Time) was a fantastic experience. (October is a good time to go because the crowd is smaller). It requires that you have the stamina because it is quite a steep ascent. If not, taking the cable car up and down is also a good option. The night trip was really to see the Great Wall from a night view (the only part of the great wall that's open at night, Mutianyu, Badaling and Juyongguan are closed at night), and to see Gubei at night from the peak was quite a sight. However, it may not be worth the extra cost of taking the cable up and down (hiking up from the bottom is not an option for night trips) may not be worth it. Great activity for the day. The Gubei Watertown experience was amazing, love the atmosphere and beautiful sights. The Simatai Great Wall was also less crowded than the Badaling Great Wall (which is more popular with tourists), so was able to get better photos. The climb is steeper though and the pavements were not so well laid, so it's not for those with a faint heart. Tour Guide "Xiao Guo" is okay, quite knowledgeable, she gave us most of the information on the journey there, and as it's free-and-easy once we reach Gubei Watertown (the Simatai Great Wall is in the same area), she didn't have to do too much explanation. Her job mainly was coordinating the different itineraries of all on the trip, some have boat rides, some don't some have the day trip to Simatai, some have the night. Some (including myself) had last minute requests, so I would say she has done a great job in ensuring everyone got to do the activities they wanted. My recommendation (the boat ride is a novelty and allows you to see Gubei Watertown from a different perspective, but it's not really necessary (unless boat rides are your thing). Gubei has many sights and little alleys which if you have 3 hours to explore, you can see it from many different angles. Some of the shops are too touristy though. The hike up to the 7th Light-Tower of Simatai (Day Time) was a fantastic experience. (October is a good time to go because the crowd is smaller). It requires that you have the stamina because it is quite a steep ascent. If not, taking the cable car up and down is also a good option. The night trip was really to see the Great Wall from a night view (the only part of the great wall that's open at night, Mutianyu, Badaling and Juyongguan are closed at night), and to see Gubei at night from the peak was quite a sight. However, it may not be worth the extra cost of taking the cable up and down (hiking up from the bottom is not an option for night trips) may not be worth it. There was no pickup at hotel and the guide didn’t talk english. We had to go to Guomao Station, upon on arrival, our name wasn’t on the list, they didn’t want to take us first. But after talking and contacting klook, we got on the bus. But other than that, we had an amazing time at Gubei Water Town and Simatai Great Wall. If you had done other part of the Wall (eg Badaling, Mutianyu) I would strongly recommend not to waste too much time on the Wall. It’s better to spend your time in the Water Town. Going up the Simatai Wall, make sure to use the cable car up and down. It will save up a lot of times. I spent 2 hours on the Wall, which is a little bit too long. When I was in the town, I felt I was rushing a little. The Town was really beautiful. Sidenote: make sure you can use Wechat Pay. A lot of shop don’t take cash. There was no pickup at hotel and the guide didn’t talk english. We had to go to Guomao Station, upon on arrival, our name wasn’t on the list, they didn’t want to take us first. But after talking and contacting klook, we got on the bus. But other than that, we had an amazing time at Gubei Water Town and Simatai Great Wall. If you had done other part of the Wall (eg Badaling, Mutianyu) I would strongly recommend not to waste too much time on the Wall. It’s better to spend your time in the Water Town. Going up the Simatai Wall, make sure to use the cable car up and down. It will save up a lot of times. I spent 2 hours on the Wall, which is a little bit too long. When I was in the town, I felt I was rushing a little. The Town was really beautiful. Sidenote: make sure you can use Wechat Pay. A lot of shop don’t take cash. Gubei Water Town and Simatai Great Wall is definitely a place to visit in Beijing. 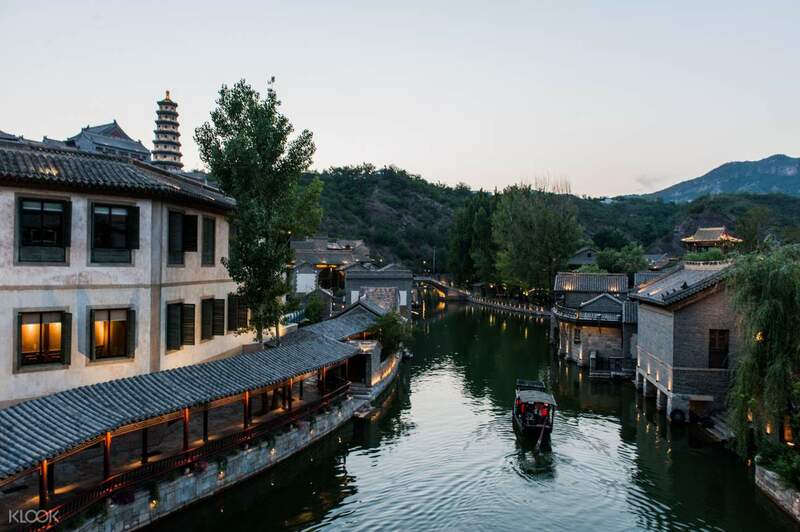 The water town is a new development that is meant to be a replica of an old town. There is not much of a historical meaning to it but it is a well constructed and beautiful place. 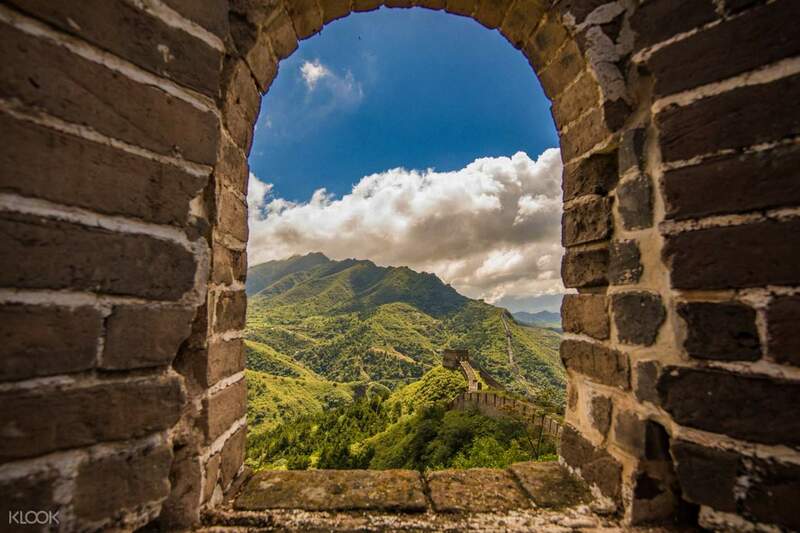 On the other hand, the Simatai Great Wall was definitely memorable, a part of the wall (10 consecutive sections) has been made available to the public. There are quite a number of people on weekends but it is not considered crowded. It is not a difficult walk (some steep slopes but manageable), it is on average 2 hours up and less than half the time to walk back down. From the top you can see the wall stretch endlessly. If you take the cable car (separate expense), it brings you to the middle of the wall directly. Four stars as the tour falsely mentioned that there would be an English speaking guide. While the guide was friendly, he spoke little to no English (most of the people on the tour are locals). Chose this tour hoping to have an English tour (compared to the other tours by local vendors I found on Fliggy which are relatively cheaper), but this was no different. In all, if communication is not an issue, this is a booking that is (given the cost of transport and the admission tickets) worth the money. Gubei Water Town and Simatai Great Wall is definitely a place to visit in Beijing. 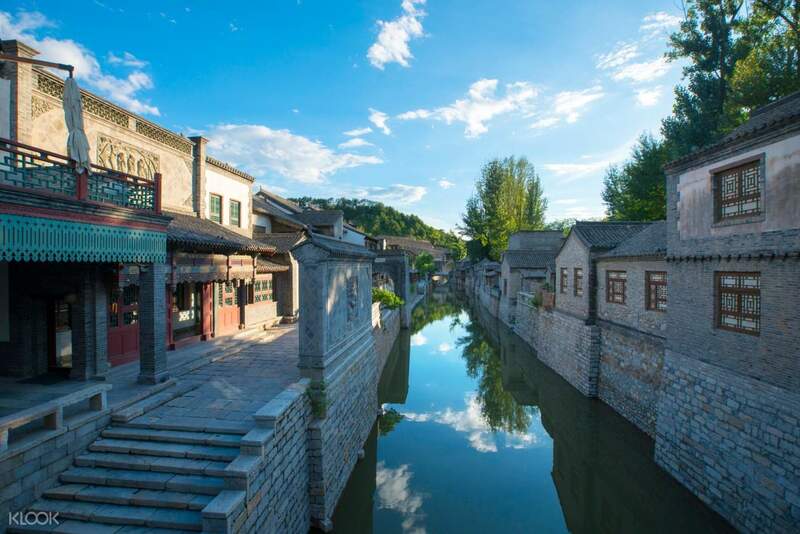 The water town is a new development that is meant to be a replica of an old town. There is not much of a historical meaning to it but it is a well constructed and beautiful place. On the other hand, the Simatai Great Wall was definitely memorable, a part of the wall (10 consecutive sections) has been made available to the public. There are quite a number of people on weekends but it is not considered crowded. It is not a difficult walk (some steep slopes but manageable), it is on average 2 hours up and less than half the time to walk back down. From the top you can see the wall stretch endlessly. If you take the cable car (separate expense), it brings you to the middle of the wall directly. Four stars as the tour falsely mentioned that there would be an English speaking guide. While the guide was friendly, he spoke little to no English (most of the people on the tour are locals). Chose this tour hoping to have an English tour (compared to the other tours by local vendors I found on Fliggy which are relatively cheaper), but this was no different. In all, if communication is not an issue, this is a booking that is (given the cost of transport and the admission tickets) worth the money. Had a great time, set your expectations before you go. It snowed when we arrived, it was cold but beautiful. Wear appropriate footwear to climb and get up the wall. Expect transport + entry tickets. Would recommend you pay the extra 150RMB for the cable car to the Great Wall Tower 5-7. Do not expect a walking tour in English. STRONGLY ADVISE: To avoid stresses of tour pick up DOWNLOAD WeChat and create an account before entering China. The tour organiser can only use WeChat to communicate. ALSO ADVISE: BUY a mobile DATA SIM Card in your home country (to bypass their firewall restrictions) to use in China before heading to China. Make sure you buy a 'food & drinks cash card' when you're there as a lot of the food places only take WeChatpay & Alipay. Sit-down restaurants seem to accept cash but check before sitting down. Tour organisers contacted our hotel who then room called us telling us about pick-up time the evening before which is nice, but not totally clear. Had a great time, set your expectations before you go. It snowed when we arrived, it was cold but beautiful. Wear appropriate footwear to climb and get up the wall. Expect transport + entry tickets. Would recommend you pay the extra 150RMB for the cable car to the Great Wall Tower 5-7. Do not expect a walking tour in English. STRONGLY ADVISE: To avoid stresses of tour pick up DOWNLOAD WeChat and create an account before entering China. The tour organiser can only use WeChat to communicate. ALSO ADVISE: BUY a mobile DATA SIM Card in your home country (to bypass their firewall restrictions) to use in China before heading to China. Make sure you buy a 'food & drinks cash card' when you're there as a lot of the food places only take WeChatpay & Alipay. Sit-down restaurants seem to accept cash but check before sitting down. Tour organisers contacted our hotel who then room called us telling us about pick-up time the evening before which is nice, but not totally clear. This tour should be selected with precaution depending on your personal preference. The night before the tour the operator asked about my travel arrangements (line 1 or 2 to meet the guide at Guomao station), she then kindly proceeded to book me a taxi in the morning to get me dropped there, as my hotel was not in the third ring. She did mention that the tour guide spoke a little English. On greeting the tour guide, I realised she spoke very very little English. This made it tough as when she was explaining the history I had no understanding. Plus when giving instructions I had no understanding, and she wasn’t able to converse with me to explain. I was lucky enough to find a couple in the group, that spoke both English and mandarin so they were able to assist me. 90% of the town is in Chinese too (menus, signs etc) so it can be difficult for those who are not comfortable in these situations. The staff also speak very little English. However - the experience of this trip is absolutely PHENOMENAL and I really do recommend it to anyone who wants to see a completely different side to Beijing. This time of year it is very cold. But going up to the Great Wall via cable car (operates all day) and spending time there is an unforgettable experience. No real fitness level required. The town really lights up at night and seeing the Great Wall lit up is magical. The town itself has a lot of food, places to walk around include a Pagoda, the waterside, shops etc. It’s very much a mini man-made Disney. Make sure you carry cash here (for coffees, street food etc), but it’s best to take the ‘town top up card’ when you get there too, which you can get a full refund on before you leave for any money you don’t use. Be aware that the cable car is an extra fee of 150. Consider all these total costs as there could be cheaper options outside of the operator for groups who are touring and for those that don’t want to be there all day. However for a solo traveller like myself, this was an ideal option which I don’t mind paying for. On return, (about 10pm) you are dropped back off at Guomao station and expected to get yourself back to your accommodation. Overall based on the place itself - I had a fantastic time. This tour should be selected with precaution depending on your personal preference. The night before the tour the operator asked about my travel arrangements (line 1 or 2 to meet the guide at Guomao station), she then kindly proceeded to book me a taxi in the morning to get me dropped there, as my hotel was not in the third ring. She did mention that the tour guide spoke a little English. On greeting the tour guide, I realised she spoke very very little English. This made it tough as when she was explaining the history I had no understanding. Plus when giving instructions I had no understanding, and she wasn’t able to converse with me to explain. I was lucky enough to find a couple in the group, that spoke both English and mandarin so they were able to assist me. 90% of the town is in Chinese too (menus, signs etc) so it can be difficult for those who are not comfortable in these situations. The staff also speak very little English. However - the experience of this trip is absolutely PHENOMENAL and I really do recommend it to anyone who wants to see a completely different side to Beijing. This time of year it is very cold. But going up to the Great Wall via cable car (operates all day) and spending time there is an unforgettable experience. No real fitness level required. The town really lights up at night and seeing the Great Wall lit up is magical. The town itself has a lot of food, places to walk around include a Pagoda, the waterside, shops etc. It’s very much a mini man-made Disney. Make sure you carry cash here (for coffees, street food etc), but it’s best to take the ‘town top up card’ when you get there too, which you can get a full refund on before you leave for any money you don’t use. Be aware that the cable car is an extra fee of 150. Consider all these total costs as there could be cheaper options outside of the operator for groups who are touring and for those that don’t want to be there all day. However for a solo traveller like myself, this was an ideal option which I don’t mind paying for. On return, (about 10pm) you are dropped back off at Guomao station and expected to get yourself back to your accommodation. Overall based on the place itself - I had a fantastic time. The local operator didn’t bother to reach out to me and when I tried calling the local operator the night before, it was unreachable, even Klook customer service representative couldn’t reach the local operator. We waited for an hour plus at our hotel lobby and no one showed up to pick us up. We had to take the chance, knowing that we might not even go on a tour on the day itself by meeting the tour guide at the alternative location which was at Guo Mao station at 8.30am, the tour guide was there and she was aware that we booked our tour through Klook and when we asked her why didn’t she reach out to us about our pickup time at our hotel as our hotel location was within 3rd ring, her excuse was because we didn’t have WeChat. If WeChat was a requirement to reach out to us or the local operator or the tour, I would strongly suggest that Klook update the contact information to not include WhatsApp. It was a really tiring day and frustrated day as we were clueless about our tour. We were lucky enough that we took the chance to meet at the station instead of waiting for them to pick us up at our hotel. I was dissatisfied about the service but the view was great at Great Wall and Gubei Water Town. I would strongly recommend to visit the place but to those who are considering to book through Klook for this trip, make sure you have WeChat or alternatively, keep calling the local operator a day before your trip to make sure they will pick you up from your hotel. The local operator didn’t bother to reach out to me and when I tried calling the local operator the night before, it was unreachable, even Klook customer service representative couldn’t reach the local operator. We waited for an hour plus at our hotel lobby and no one showed up to pick us up. We had to take the chance, knowing that we might not even go on a tour on the day itself by meeting the tour guide at the alternative location which was at Guo Mao station at 8.30am, the tour guide was there and she was aware that we booked our tour through Klook and when we asked her why didn’t she reach out to us about our pickup time at our hotel as our hotel location was within 3rd ring, her excuse was because we didn’t have WeChat. If WeChat was a requirement to reach out to us or the local operator or the tour, I would strongly suggest that Klook update the contact information to not include WhatsApp. It was a really tiring day and frustrated day as we were clueless about our tour. We were lucky enough that we took the chance to meet at the station instead of waiting for them to pick us up at our hotel. I was dissatisfied about the service but the view was great at Great Wall and Gubei Water Town. I would strongly recommend to visit the place but to those who are considering to book through Klook for this trip, make sure you have WeChat or alternatively, keep calling the local operator a day before your trip to make sure they will pick you up from your hotel.